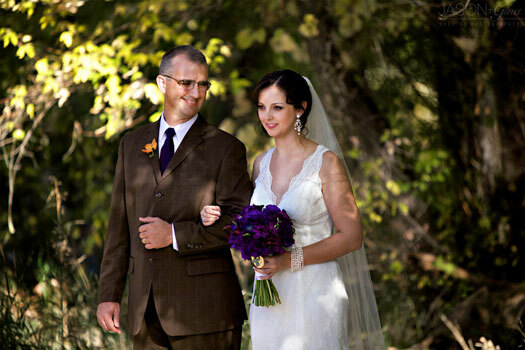 We were married on a beautiful day surrounded by our family and friends. 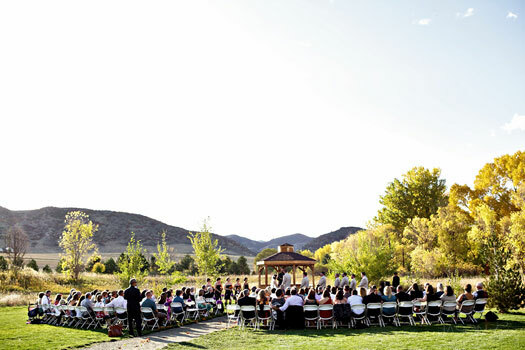 The ceremony took place in the Open Air Chapel at the Denver Botanic Gardens, which consists of an open field with a gazebo. We were so lucky with the weather, it was sunny and 75 degrees the prior weekend we had a snowstorm. 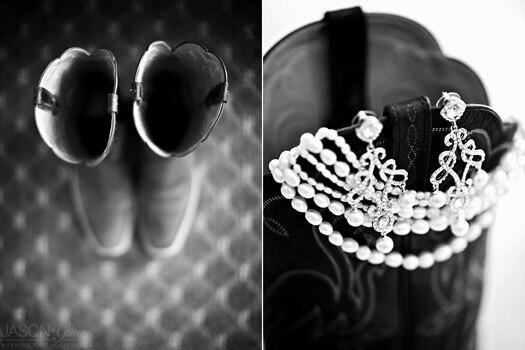 My something old was a piece of tulle sewn in my dress from my aunt’s wedding dress, who passed away from breast cancer in 2005, and my great grandfather’s belt buckle wrapped around my bouquet was my something blue. 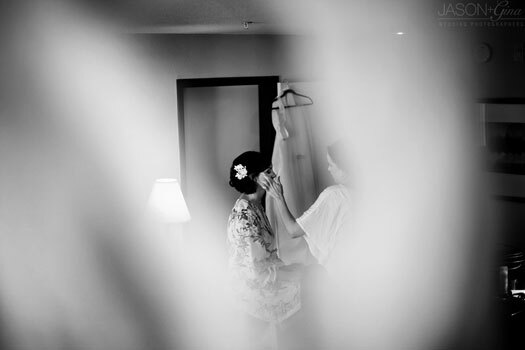 We thought long and hard about the songs for our ceremony, as we are huge music lovers. 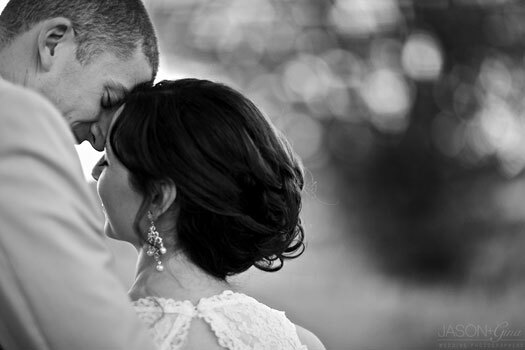 One of my favorite parts was hearing everyone’s reaction to the song I chose to walk down the aisle to: The Little Mermaid’s “Kiss the Girl” by Colbie Caillat. 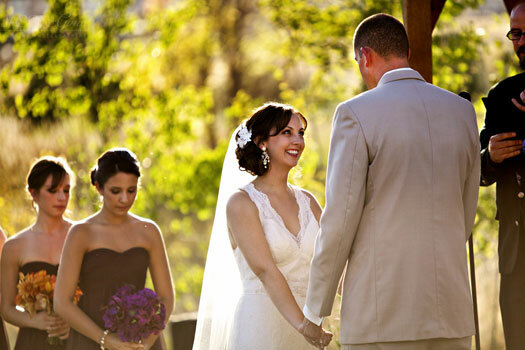 We created our ceremony ourselves, and worked with our officiant to make it perfect. We included a wine & love letter ceremony, with a promise to open it on our anniversary and read the letters. 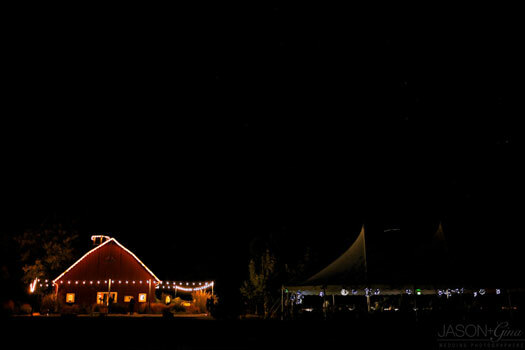 We had our reception at the Green Farm Barn at Chatfield, with a tent set up for dinner. Our cocktail hour included lawn games, and we used the old farm truck as a bar back. We set up hay bales covered in family quilts around the barn for seating. The centerpieces consisted of lanterns and candles. We named the tables after country music artists we loved, and used a CD cover in a picture frame on the tables. 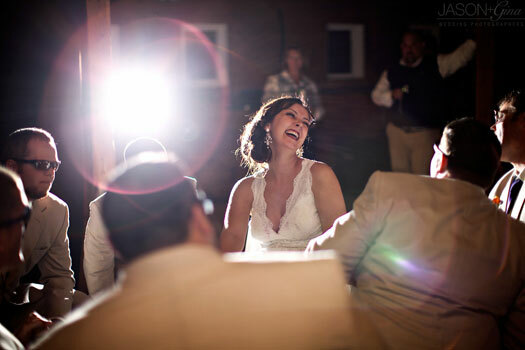 Our first dance was to Luke Bryan’s “First Love Song”, a song we have loved since we started dating in 2007. 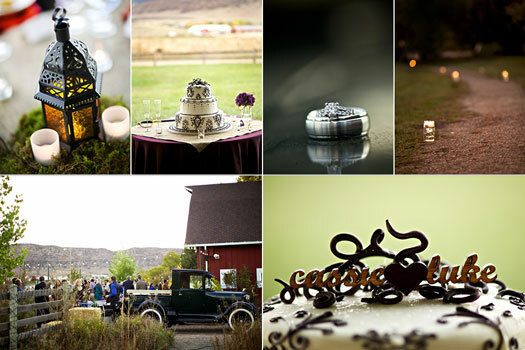 We focused on taking care of our guests, by providing onsite childcare (which both the parents and kids loved), entertaining them with lawn games during cocktail hour, having amazing hors d’oeuvres and drinks, and sending them home with fun photobooth keepsake.